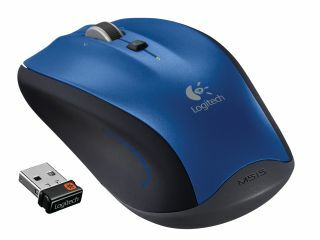 Logitech has unveiled a £50 wireless mouse that it claims has been specially designed for your living room. If your first thought is that this is because it will match your curtains, or it's made out IKEA MDF you'd be wrong. No, this is a mouse that has been designed to work on soft furnishings – like your sofa. "Today, Logitech unveiled the Logitech Wireless Mouse M515, delivering easy navigation from soft surfaces like your sofa, bed or a pillow," said the company's release. "The Logitech Wireless Mouse M515 features a sealed bottom case that makes gliding on fabric easy and worry free, and a hand-detection sensor so the mouse is only active when you want it to be." People are increasingly using their mouse on surfaces other than a mouse mat – which means that mice design is changing. "A sealed bottom — so fabric fuzz won't collect in the sensor opening — gives you cursor control no matter what surface you're using your mouse on," explains Logitech's Actress to the Bishop. "And the easy-gliding base makes mousing around on couches (and blankets, cushions, clothing, carpets, even desks) easy." So if you're looking for a closed bottom to avoid getting fluff in your sensor – you only have to wait until the UK release date of April.